Posted on November 21, 2012 . 16 Comments. We received many enough e-mails asking that question. The answer is: “I am not saying you are wrong. I just know I am right.” If you want to compare us to Brand X, help yourself, because we are not doing it for you. There comes a moment in a career, and it doesn’t matter honestly whether it is sports related, military, or just beautiful life, where it suddenly dawns upon you that those basics, those boring fundamentals, are truly the keys to success. You might have learned everything in kindergarten as the book taught us a decade ago because, and this is a truth, you probably did. “Show up” is and always will be the foundational success principle and “Thank you” will never be surpassed as the right thing to say in so many of life’s situations. In the world of strength, it is easy to fall in love with the new shiny penny or the new girl in the cafeteria or this thing that demands CAPITAL letters to describe its awesomeness. I’ve been there, I’ve done that—many times. And, sadly, I circle around back to literally what I learned in my kindergarten of strength education: It’s the fundamentals. It’s the basics. It is, and I tell you this with my whole heart and total candor, StrongFirst. 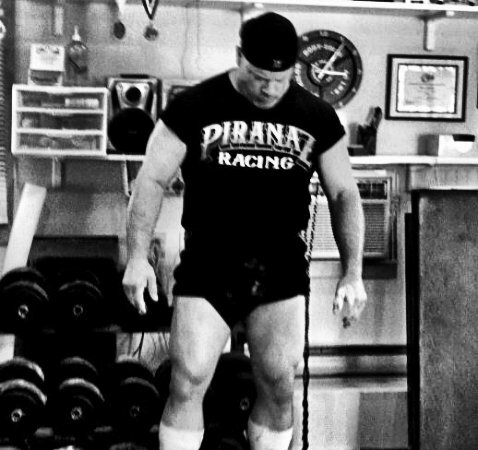 The basics of learning tension, wedging the body under the load, understanding the use of the middle of the body as a steam engine and pump, and giving in to the idea that to lift big weights it’s going to take the full effort of mind, body, and soul cannot be OVERexaggerated, OVERstated or OVERhyped. Before adding ballistics, speed, asymmetry, instability, and competitive stress, we must walk through the valley of the shadow of strength. You must walk it. As a coach, I can talk it and chalk it, but you, the learner, must walk it. Certainly, we progress. Certainly, we add on, tack on, add some paint, toss in some glitter, and make it prettier sometimes. But, never forget the fundamentals. Never lose sight of the basic truth. 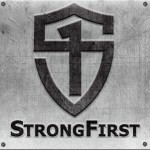 There is, and always has been, one secret to success in the world of armor, collisions, sport and fitness: StrongFirst. You come with us because your gut tells you that you have found your brothers and sisters. And your brain tells you that what Dan and I wrote in Easy Strength is logical and backed with science and experience. If your gut and brain are silent, you do not belong here. Can You Answer These 4 Questions About the Psoas? I have been lifting since I was 13 and now I am 69. I had a stroke in 2007 and was paralysed totally on my left side. 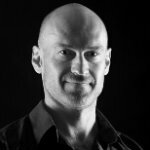 As a retired chiropractor, certified in kinesiology, acupuncture, as well as every chiropractic technique and after 40+ years of practice, I felt better about following my road to recovery than those doctors leading me astray. In any case I am now fully recovered except for my strength. In most cases I might be considered normal but I consider it subpar considering where I was. I was powerlifting, no olympic as I didn’t know any compatent in structors. As Kettlebells are very new to me, I am really interested. Crossfit seems reckless to me. I have no concerns about my health as I know what the cause was , which I have addressed and my diet, bp, pulse, blood tests and exams are all noirmal. So now I just need the right teacher to help guide me along to my goal of strength. I feel I have found the right source. Those are great words to abide by. I am always on the look out for different methods of training, but you cannot beat the basics. It is great to be reminded about this from time to time. The impactful part for me is the ‘science’ – I have been a S&C Coach for 18 years now and a university level instructor for 7 – I appreciate the research, the findings, human physiology. I use parts of Easy Strength for an upper level course I teach at UBC. Dan John skyped in live for me last year. I respect those in the trenches and those who can explain or theorize the ‘why’ behind systems and methods. I am not interested in fitness or fads and I despise most marketing. It’s funny Pavel, in my own business of consulting, I always tell my colleagues that if we need to bend over backwards to show a potential client our value, that is not a client we need. In fact, it is a client we need NOT to have. There are many more people to serve who understand instantly why they should work with us. I agree completely with your stance. Basic, Basic and more Basic. Anyone that knows me I am not one to ‘Blow Smoke’. When I went over Easy Strength I said ‘THIS IS IT!’. I have been saying this for years and was told no way and that I was full of it. I know this is the place and path for me. THis was beautifuly written. I could not have said it any better. Thank you John and Pavel. This is exactly why I sought out your man in the UK James Breese, SF !! He is the best of the best and represents the core of SF!! He has made me a better man…and so much stronger! There really aren’t words to express how thrilled I am to be a part of this. Dan, well said, sir, and thank you for everything you contribute. Outstanding post Pavel! My gut and brain scream to me that I am in the right place.